Let's welcome the Tesla XT MOD. Made of Zinc alloy, the durable XT MOD is carved with exquisite Mayan patterns and decorated with "X". It is compatible with dual external 21700/20700/18650 cells, whose discharge current is above 40A, providing 220W max output with various modes. 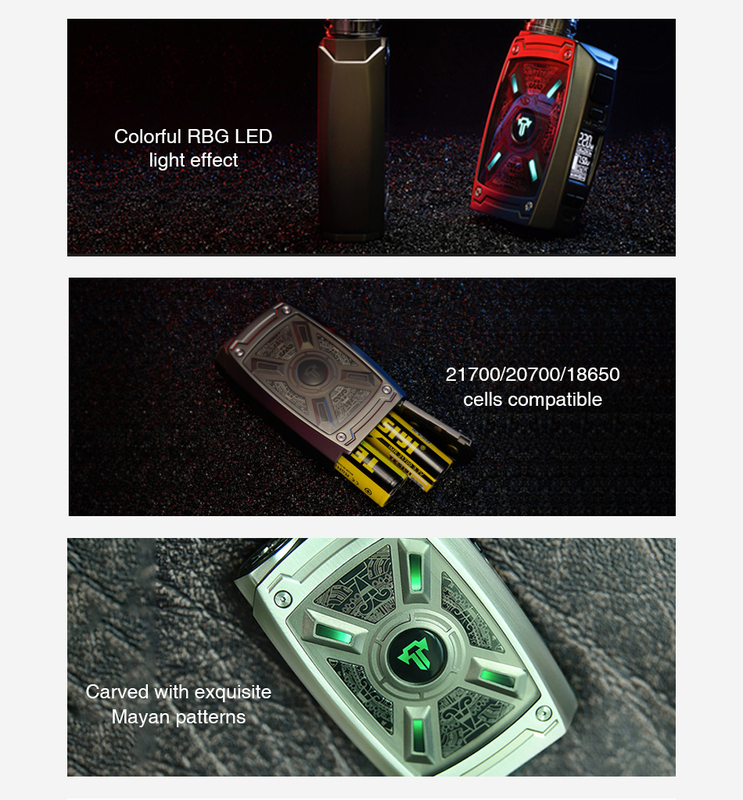 What's more, the MOD adopts sparkling RGB LED light effect, which will bring you a surprise and funny vaping experience. No hesitation, just take the XT MOD home. Click the button below to add the Tesla XT 220W TC Box MOD to your wish list.